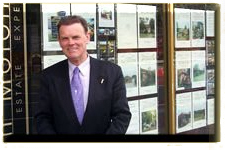 Ken Moroney Real Estate Experts are a local Greensborough based Real Estate Agency. Specialising in service exceeding expectations and providing attention to detail, Ken Moroney Real Estate Experts, Real Estate Greensborough, is able to employ experience and expertise to your selling needs. Each property and client's needs vary according to circumstances. A specific and tailored marketing plan is prepared to suit each individual property. It costs no more to employ proven experience with professional knowledge to effectively provide the result you seek. Agents delegating your most valuable asset to cadets or those simply new to real estate. Over 80% of our business is built on referrals. List your property for sale with Ken Moroney and his team and see why.